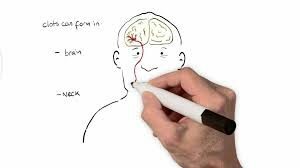 A stroke, or cerebrovascular accident (CVA), is the rapid loss of brain function(s) due to disturbance in the blood supply to the brain. When you have an ischemic stroke, there is an interruption, or reduction, of the blood supply. Eighty percent of all strokes occur due to ischemia. With a hemorrhagic stroke, there is bleeding in the brain. After about 4 minutes without blood and oxygen, brain cells become damaged and may die. When brain cells are damaged or die, the body parts controlled by those cells cannot function. The loss of function may be mild or severe and temporary or permanent. This depends on where and how much of the brain is damaged and how fast the blood supply can be returned to the affected cells. Stroke is a major cause of disability in the world. Significant impairment in the affected arm can be seen roughly between 30 and 70% of individuals suffering from stroke (Kwakkel et al., Lancet, 1999). One of the most common areas often affected by a neurological injury is the glenohumeral joint (i.e., shoulder). 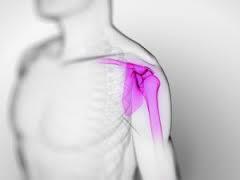 The shoulder complex is a very sophisticated and complicated joint in the body. It consists of 20 muscles, 3 bones, 3 joints, and 1 articulation. It has the greatest ROM of any joint in the body but at the expense of stability. Shoulder pain is a common complication after stroke. Up to 72% of stroke patients develop hemiplegic shoulder pain. 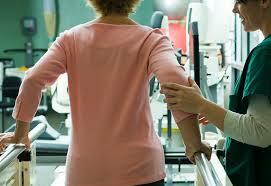 It may occur in up to 80% of stroke patients who have little or no voluntary movement of the affected upper limb. Painful stroke shoulder can negatively affect rehab outcomes as adequate shoulder function is a prerequisite for hand function, ADL’s, and functional mobility. Are You Safe To Drive Following a Stroke? Driving is often a major concern following a neurological injury. Movements, sensations, alertness, judgement, coordination, and vision can be adversely affected which may impair the ability to drive a car. Due to these impairments, there is cause for concern regarding increased risk of crashes post stroke and other neurological injuries (Perrier et al., 2010).